Romelu Lukaku is a doubt for Manchester United's Premier League game with Watford on March 30 as he battles to overcome a foot injury. 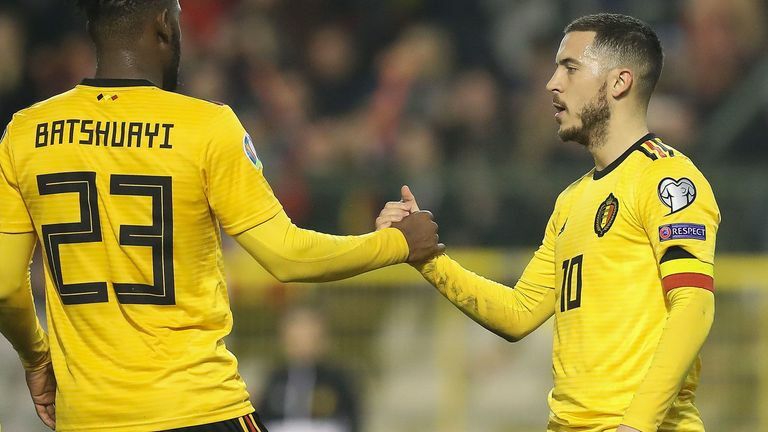 The striker has been ruled out of Belgium's European Qualifier against Cyprus on Sunday, having also sat out his country's 3-1 win over Russia in their Group I opener. The Belgian FA tweeted: "Romelu Lukaku will not travel with the Belgian national team this morning (Saturday) to Cyprus due to a foot injury." Lukaku missed United's FA Cup exit against Wolves before joining up with Belgium, where he spent the week receiving treatment at the Move to Cure clinic in Antwerp under the care of Lieven Maesschalck, who is also the national team physio. Lukaku has scored 15 goals in 38 appearances for Manchester United this season. He last played for United in the 2-0 loss at Arsenal on March 10.